One day, in the region where the third-year violent crime cop Chun-dong works, a child girl is kidnapped and murdered. Chun-dong realizes that the crime scene looks the same as a mysterious wall painting he saw the other day while investigating a case. He then starts chasing Jun, who was painting on the wall. But when Chun-dong arrests Jun, he discovers that he has a psychic ability. Jun has painted clues of crimes using his ability. He is framed as the prime suspect of the homicide case because of the painting, but Chun-dong intuitively knows he is not the one. This is a mystery investigation film utilizing the unique element of psychometry. KIM Gang-woo appears as Chun-dong and KIM Beom as Jun, the psychometry reader. They make a good pair. KIM Gang-woo shows off his masculinity once again like he did in Marine Boy and The Taste of Money. 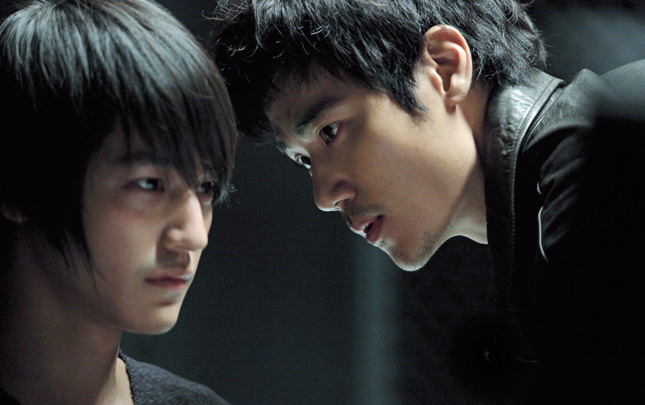 KIM Beom is equipped with mysterious charm in this film as he returns to the screen after a long break. This film elaboratively focuses on solving a puzzled abduction case while adding humor along with the story. The Gifted Hands is directed by GWON Ho-yeong, the director of the mystery thriller Parallel Life (2010).